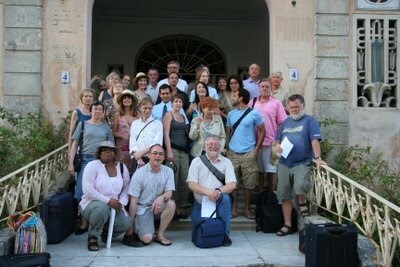 Cuba Tour and Charrette a success! Our first tour and charrette was a big success with 27 participants on the tour and a dedicated international professional team on the charrette. Looking at Havana's harbour area we produced proposals for a sustainable growth of the city maintaining it's original character. Upon request from our participantss we are going to follow up the tour and charrette with new events March 2008. To make sure you'll have a place please pre-register at www.moderno.no/cuba for the next tour and charrette. You can participate at one of the events or at both.